In the past few decades, Virtual Reality (VR) technology was being used to visualize the projects and to create a digital environment. Construction and design firms in AEC (Architecture, Engineering and Construction) industry, focuses on Virtual Reality (VR) technology to improve the existing work processes. VR technology provides its users an enriched virtual environment and interaction with the digital objects in real time. Virtual environment also helps information exchange in multi-disciplinary team environment and better collaboration (Heydarian et al., 2015). Living a seamless VR experience is related to software and hardware. There are some wearable mobile devices (headsets) on the market such as; Google Glass, Oculus Gear VR, Oculus Rift, HTC Vive, Microsoft Hololens. These devices have the potential to enrich the way information is accessed and visualized. On the other hand, Autodesk Revit Live provides immersive visualization of those BIM models in one click using its visualization service. Prota’s engineering and architectural teams deliver their design through integrating VR technology with BIM (Building Information Modelling). 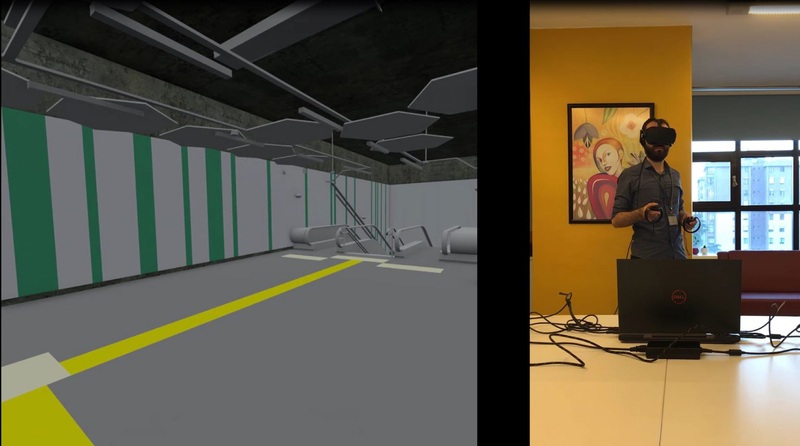 Prota’s BIM specialists create their models on a BIM platform and control them in VR environment using Autodesk’s Revit Live tool.